A Wargaming Odyssey: Madasahatta - A Possible Reinvention? Madasahatta - A Possible Reinvention? The Arab Revolt started in 1916 by which time the German overseas colonies had been overrun and the High Seas Fleet was safely confined to the North and Baltic Seas. Aside from the occasional nuisance of a surface raider the submarine was going to become the main weapon of the German navy - especially once the Battle of Jutland had been fought. At the outbreak of the Great War the Germans had a number of cruisers overseas that had to be hunted down as the threat they represented to British trade routes was unacceptable. This was accomplished, at some cost, by early 1915. Looking at the Red Sea and the surrounding area I was struck by how easily it can be controlled. Great Britain already had facilities in Aden and also British East Africa so keeping the area honest would be relatively straightforward. What would make things interesting though, would be if Germany still maintained their East African Colony as a going concern. This would enable a degree of naval presence for the Central Powers in the area which would require a Royal Navy response. It would still be limited but, and here is the real kicker, what if a Central Powers owned island appeared that could support warships and was positioned to be able to interdict shipping routes between India and the Suez Canal? That would really make their Lordships in the Admiralty sit up and take notice! 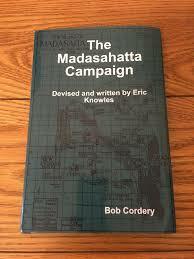 The island of Madasahatta was the creation of the late Eric Knowles and featured in an epic campaign organised by him in the let 1970s. I, along with Bob Cordery, Chris Hardman and Neil Fox were fortunate to take part in this campaign and it was enormous fun. Following Eric's death all of the surviving material for the campaign has been made available in book form by Bob Cordery in a variety of formats - check out his Amazon page for details of this and the many other titles of interest he has written. The island is located some 300 miles east of Zanzibar in the Indian Ocean and apart from the indigenous, mostly tribal population there is an Arab concession under nominal suzerainty to the Sultanate of Zanzibar who in turn has a 'special relationship' with the Turkish Empire. Both the British and the Germans have established crown colonies on the island with the Arabs being rather more closely tied to the Germans. The campaign fought in the 1970s ended with a British victory and included a number of naval actions involving not only the British and Germans but occasionally the Russians, Japanese and Turks. Tempting as it may be I am not proposing to refight the entire campaign as my interest lie further to the North in the Red Sea and the Arabian Peninsula. My plan though is to make use of the island in support of the Arab Revolt. I am working on the basis that the Germans are still in possession of their East African colony and that Madasahatta has both British and German/Turkish forces seemingly content to maintain the status quo of their separate colonies. In truth there is little else they can do as neither side has a sufficient advantage in material to force the issue. With the main fighting strength of both the British and the Germans concentrated on the Western Front and the North Sea the colonies are very much seen as sideshows and so are left to locally raised troops with a smattering of those regular units that can be spared. The naval side means that older, second line vessels will be the order of the day with the occasional appearance of something more modern. In other words old armoured and protected cruisers, the occasional obsolete battleship and plenty of requisitioned merchant types pressed into service. My scale of choice for naval dimension would be 1:2400th simply because the models are larger than 1:3000th - we are not talking fleet actions here - so will look nicer. As the combats would be typically at closer ranges than one would find when using dreadnoughts having larger models will look better on the playing area I shall be using. My rules of choice would be Bob Cordery's Gridded Naval Wargames which work well and dovetail nicely in with his Portable Wargame set which I shall use for the land actions. All of the ship models I need for this 'sideshow of a sideshow of a sideshow' are available from Tumbling Dice and again, the beauty of this is that I would not need a lot of it. To complete the land element of this project I will need to raise a British/Indian force in 15mm for use on the Arabian peninsula and ultimately some Colonial Germans. Although not qualifying in the starring role for my planned Arab Revolt/Red Sea campaign using the island of Madasahatta to provide 'the reason why' certainly makes it worthy of a 'best supporting' accolade. I'm looking forward to reading the Madasahatta book. Were you using published rules? Do "Ships of the Desert" count as Naval? The naval side of Madasahatta was fought using Fletcher Pratt but the land side were based loosely on a set by Donald Featherstone as I recall. You will enjoy the book but be advised, political correctness was not one of the campaign's strong points! My lord, I think... I think your book is right. 'The desert is an ocean in which no oar is dipped' and on this ocean the Bedu go where they please and strike where they please. This is the way the Bedu have always fought. You're famed throughout the world for fighting in this way and this is the way you should fight now! I certainly think there is some mileage in it!